Image via Flickr by jpellgen. 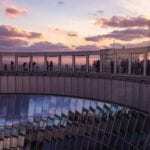 Disclosure: This post was created in collaboration with InterContinental Hotels Group. As always, all experiences and opinions are my own. I’ve often written that Paris has my heart. But I bet you didn’t know that Japan has my soul. My husband often jokes that I was Asian in another life, and my love of Japanese culture and food certainly serves as a testament to that. Throughout my professional career, I’ve had the privilege to travel to Tokyo on multiple occasions, and I’ve always extended my trip to explore more. 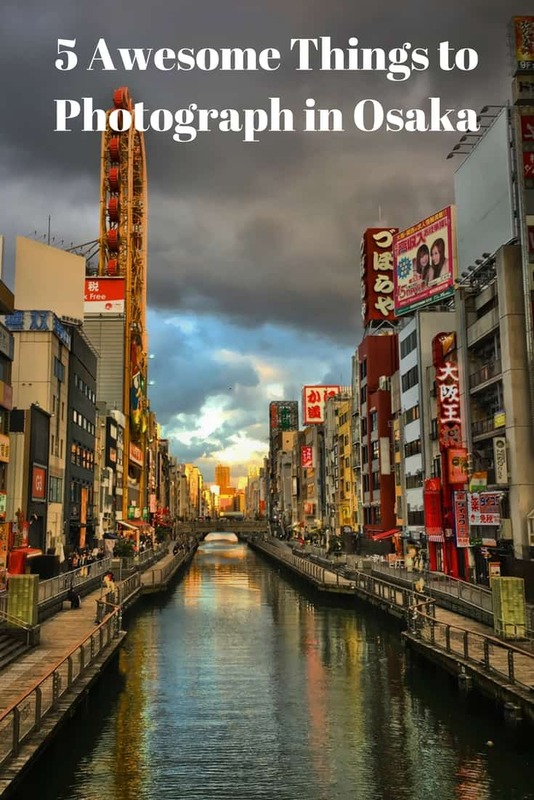 I loved visiting the capital city, but when it came time to visit Japan for pleasure, my husband and I chose Osaka as one of our destinations. Japan’s third largest city is proudly known as the city of the merchant class. Today, that translates to a place that works hard and plays hard, but you could probably throw in eats hard as well. Osaka is known for “kuidaore,” which means “eat till you drop.” My kind of place! But beyond eating, which I can write about 24/7, Osaka has lots to offer particularly when it comes to the camera. Whether you’re an amateur or a pro, you’ll have an endless supply of content for your lens. Based on our trip, I want to share five awesome things to photograph in Osaka. Image via Sel & Poivre Photography. The InterContinental Osaka made it convenient for us to get to Namba Parks via a short walk and subway ride. When my husband first suggested going to a shopping mall, I thought he was crazy. 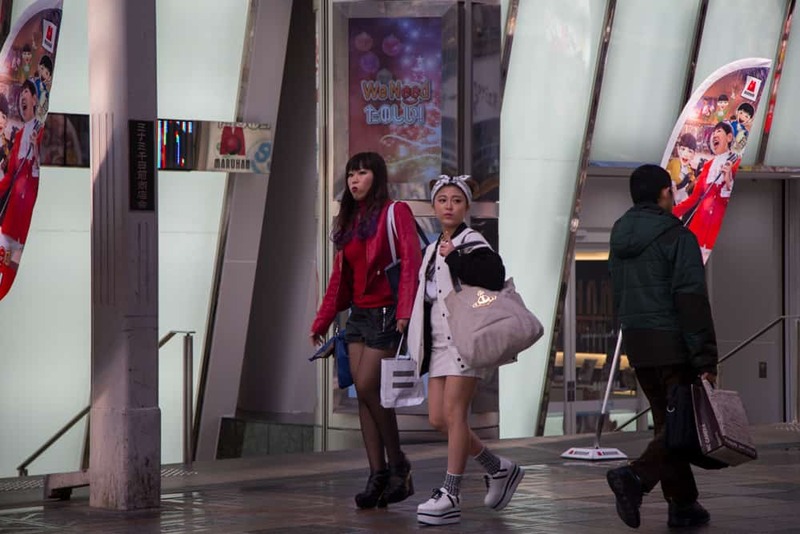 But Namba Parks isn’t just a luxury goods center. It also has great restaurants, movie theaters, and one of my favorite things in the world, a baseball museum! That’s because Namba Parks used to be a baseball stadium. 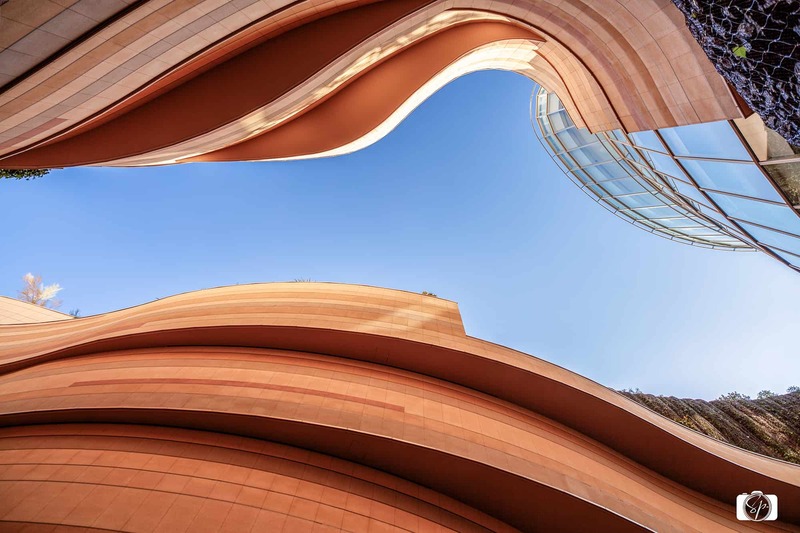 After years of neglect, the city hired an amazing architect and rebuilt the center to what it is today, an architectural wonder and a great place to take pictures. 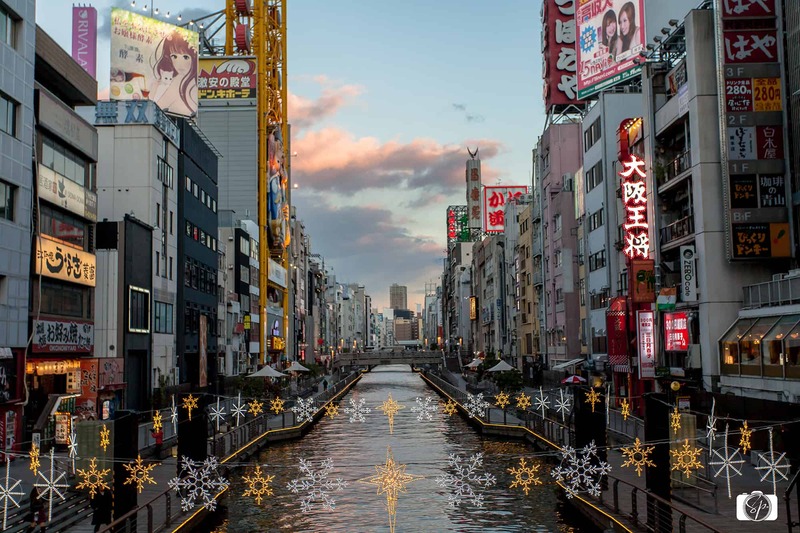 Whether you capture the buildings from below or some of the wondrous parks from above, you will get a great shot at Namba Parks. 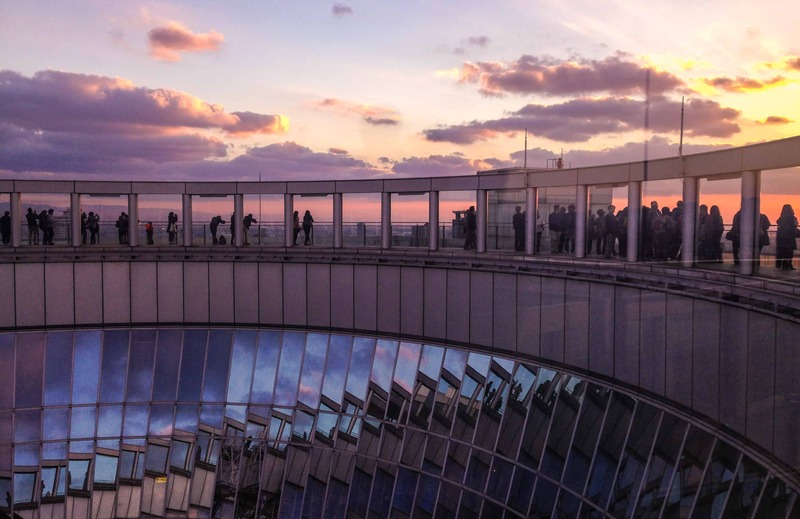 Sunset at the Umeda Sky Building. If you don’t mind heights, then there’s no better place to see Osaka at your feet than the Umeda Sky Building. It’s quite an adventure getting to the top of the two 40-foot towers. Take elevators and escalators, go through a floating garden observatory, cross a bridge, and take another elevator, and you’re there! But oh, is that view worth it. The city surrounds you, waiting to be captured, particularly at sunset. The mirrored glass on top of the atrium is perfect for reflection shots. Plus, when you’re finished, you’ll be right next door to the ramen district, with hundreds of stands. Tofu wrapped vegetables of all shapes and sizes. Image via Sel & Poivre Photography. Wait, no, it’s not what you think! I’m not just talking about eating food at the market, although, I did do lots of that. With close to 200 years of history, the beautifully covered Kuromon-Ichiba Market, also known as Osaka’s kitchen, is a great place to take photos. 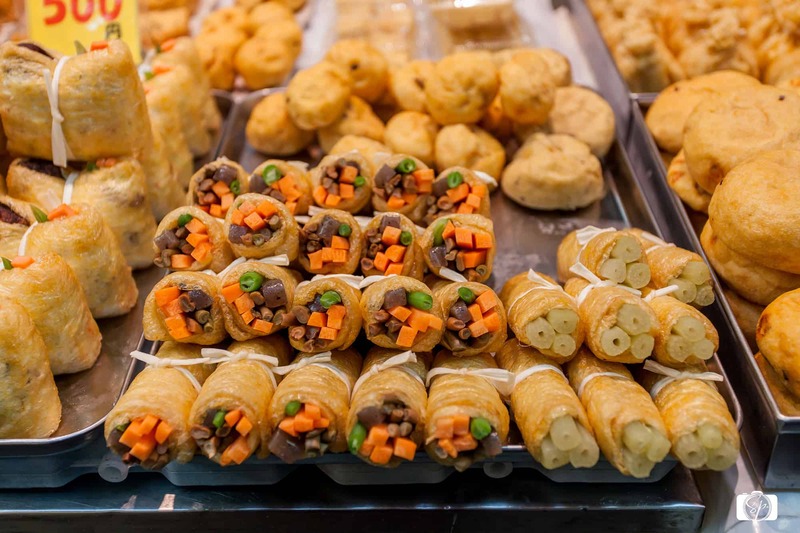 There are a myriad magnificent munchies on display like the photo above, but there’s also the people and the traditions of knifework and craftsmanship that make awesome portrait shots. If you get hungry after taking all those pictures, just throw a dart and you’ll find something great to eat! A street in the Dotonbori district. Image via Sel & Poivre Photography. Osaka is a frenetic place, a city of extremely densely populated areas and very few places to breathe. I think that’s why the city’s luxury hotels do such a great job of creating an oasis of zen and why the people of Osaka deeply love those limited green spaces for parks. They’re rare and should be enjoyed to their fullest. 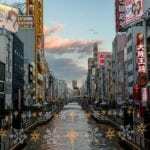 However, the craziness of the street life and the street signs are awesome subjects for the camera, especially in Dotonbori, the entertainment district. While harder for amateur photographers who may not know how to manipulate their settings for the dark, nighttime is the best time to capture all those neon signs! I’ve always worshiped the Japanese sense of style. In a country where conformity in your work environment is essential, the only way to truly express your personality is through your clothes outside of work. I had such a great time people watching and snapping photos of all the sassy styles. When walking down the street, have your camera settings prepared for action shots. Otherwise, you’ll get a lot of blurry shots of really great outfits! Grilled seafood in Osaka. Image via Sel & Poivre Photography. Oh, where to start? Osaka has the second largest fish market, so the sushi is great and makes for great photos. So does the delicious ramen, which locals take seriously. Who doesn’t love pretty-bowls-of-noodles-dressed-with-amazing-things photos? 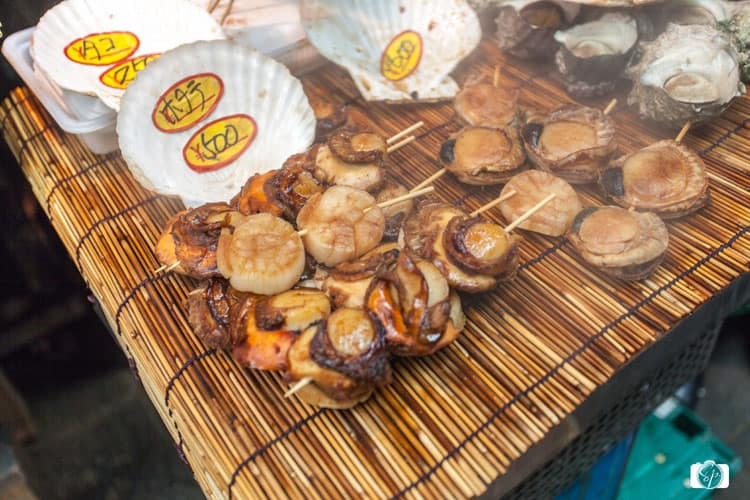 Takoyaki, the must-try Osaka street food, is perfect for gritty street scenes. And the list goes on. Not only is the food delicious, but it also looks great on camera. How about you? 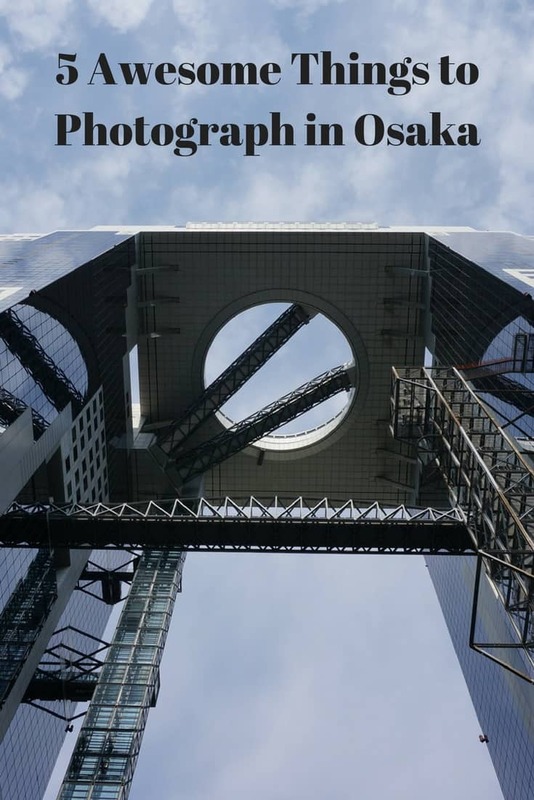 Have you been to Osaka and taken great photographs? Where did you take them? If you haven’t been to Osaka, do any of my photo subjects tempt you to go? Do tell! @Divya, what’s the best thing you ate? Your photographs are so beautiful! 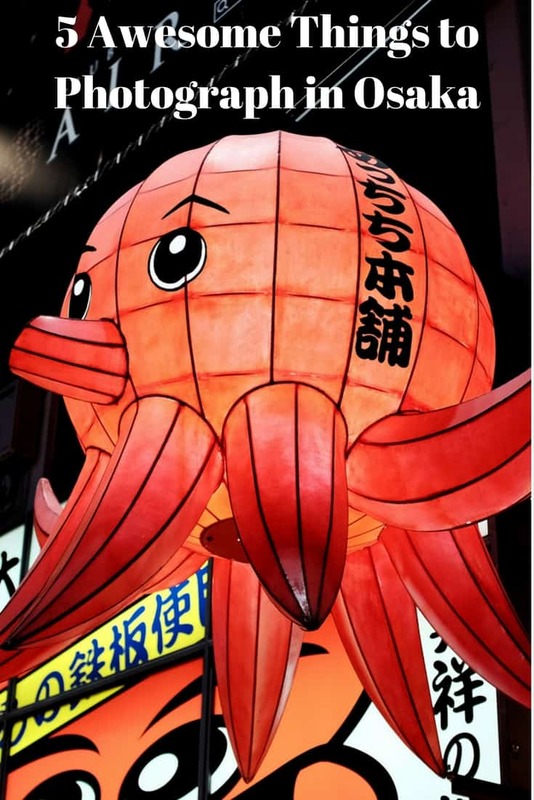 I would love to visit Osaka sometime! @Neely, they are mainly thanks to my hubby, hope you enjoy them! @Courtney, oy, there are so places I traveled to pre-Instagram that would have made for some cool content! What was the best thing you ate? Oh wow, they have some super impressive artwork and architecture. I’d love to do some exploring in Osaka some day! @Liz, it is a great city to explore! Never been but your photos definitely make me want to go. Love traveling and trying new foods, seeing new sights and learning new things! @Kristina, sounds like you have all the attributes for a traveler! What neat places and I agree they are musts to photograph! Now I want to plan a trip and see more of the area! @Lisa, hope you get a chance to one day! I can see why you and your husband enjoy visiting Osaka. It’s beautiful! Love the sky buildings. @Marielle, the architecture is totally amazing there! I have never been to Asia, let alone Japan — I would love to see it and experience kuidaore for myself! @Katie, Japan is the place to do it! @Janella, I hope you get there one day! So much beauty and art! I heard that Osaka is a great place. And it is true! I love the post! The foods really yummy! @Nicole, so glad you think so, I hope you get to visit one day. I’d really want to visit there one day!! Hai, I stumbled upon your blog while researching for my japan trip (next year). Your photos are so nice! 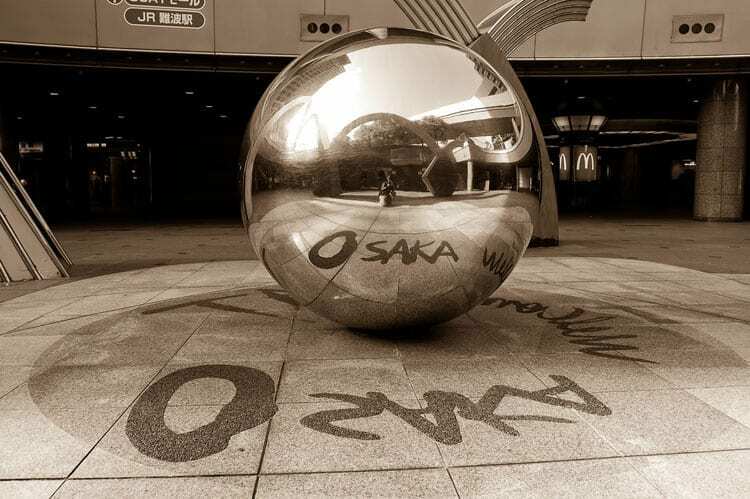 May i know where is the big osaka ball on the first picture?